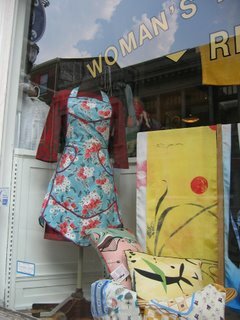 The Aprons are now for sale! Along with pillows and sock monkeys. 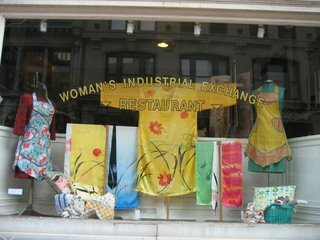 Wendy and I put up the window today,for the Women's Industrial Exchange on Charles Street in good old mobtown, for the month of September. I really love the premise for this place. 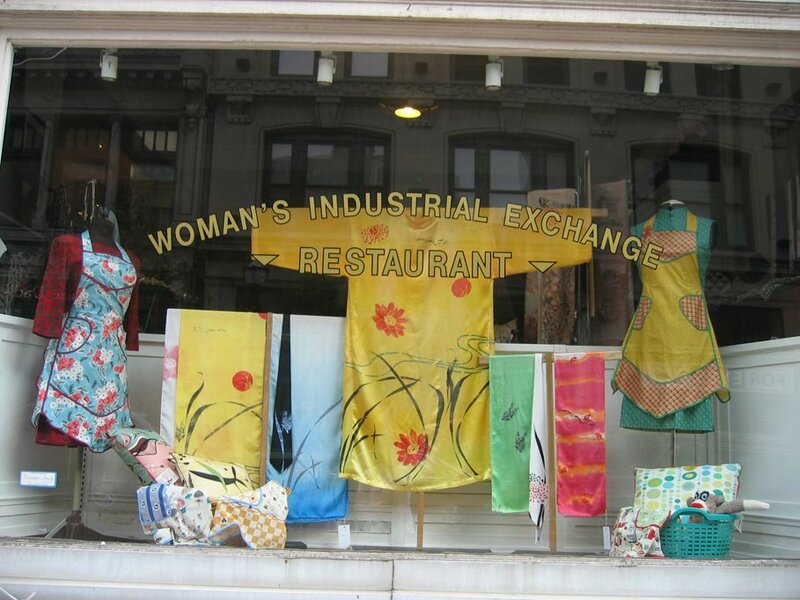 Check its web site at http://www.womansindustrialexchange.org. And go by the window on 333 N. Charles Street. The window will be set up with our items until October 9th. 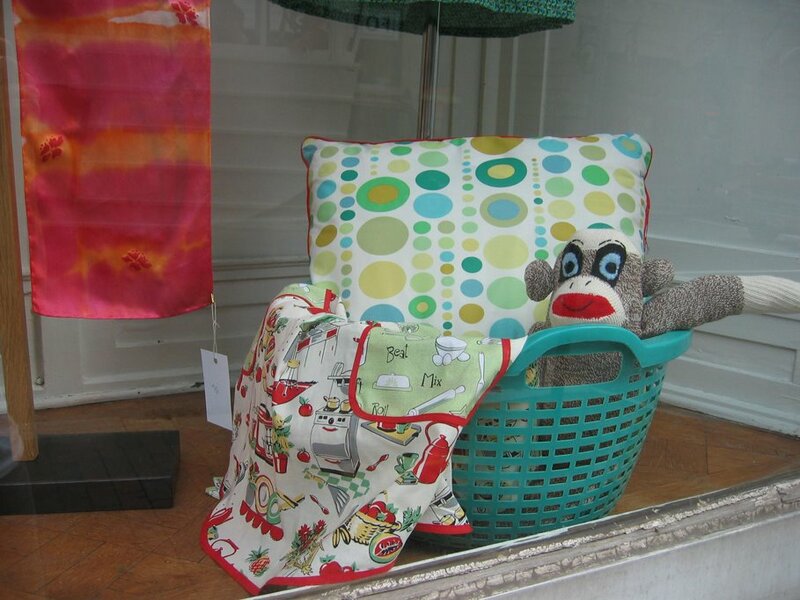 Hello Jocko Monkey - good to see you again. Are you still at the W.I.E.window with aprons?